Astrology is a symbolic language. It is a symbolism born of archetypes common to the human experience. Dane Rudhyar Essential Legacy Dane Rudhyar's legacy is legendary with his reinterpretation of modern astrology, the Zodiac, and deeper meaning of the astrological houses. The Sun, moon, and planets are not seen as celestial forces exerting their magical influence on humankind, but instead as primal and archetypal symbols that represent functional and operational activity that cover a broad spectrum of energies working at multiples levels of existence. 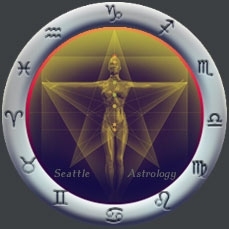 Seattle Holistic Medical Astrology Medical Astrology has moved out of the 17th century when a lack of modern medical training and a lack of a thorough understanding of the disease process led to decumbiture hoary charts and bloodletting.